I’d like to share with you one format of virtual conferencing that is proving both popular and effective – the Twitter conference. Twitter is already a popular platform with many academics and we’ve found online conferences using this platform to be enormously successful. Twitter conferences are an initiative of the World Seabird Union, and I have been involved with the production of two of these in recent years. We have shown that Twitter conferences can be a cost-effective and carbon-free complement to regular, traditional conferences. As of April 2017, we have hosted three World Seabird Twitter Conferences and have observed incredible growth (see below on the rise of the Twitter conference). These conferences have fostered communication and increasing engagement among researchers around the globe – even while they work in remote field sites. As an additional benefit our conferences have been a valuable science communication tool – bringing science to the public via Twitter and spin off media engagements. Because Twitter Conferences are cost-effective and carbon free, we’ve proposed they are an ideal complement to global conferences seeking to maintain engagement between meetings, or in lieu of annual meetings. There is no substitute for the side-conversations that happen at face-to-face conferences, but for science to move forward, ideas must be exchanged and challenged, networks strengthened and collaborations established. 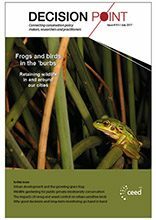 Reducing the frequency of traditional conferences to reduce costs and carbon, and supplementing with Twitter Conferences could go a long way towards maintaining networks, keeping abreast of developments, and identifying new opportunities. How does a Twitter conference run? A Twitter conference is advertised across multiple platforms (websites, email lists, posters, Twitter) and abstracts are solicited. 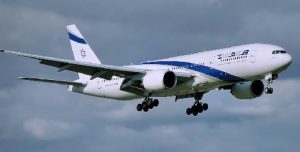 These are evaluated by an organizing committee and accepted presentations are scheduled according to themed sessions which span global time zones. Within each chaired session, presenters have 15 minutes to present, but instead of having 12 minutes to summarize key findings, researchers get to share a maximum of 6 tweets (140 characters each) to get their message across. This forces the presenter to be succinct and use photographs, infographics or animations to illustrate their work. Each tweet includes a number, and the conference hashtag (eg, #WSTC3) so that the audience can follow along simply by following that hashtag on Twitter. Questions are posed by the audience and the presenter answers in real time. 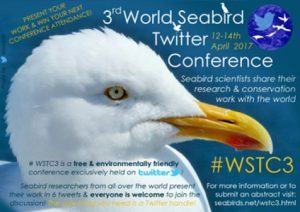 After the conference, presentations are collated and circulated (eg, Proceedings of the 2nd World Seabird Twitter Conference #WSTC2). The format of the conference can be expanded, by inviting prominent researchers to give plenary presentations and then participate in a live Q&A broadcast. This discussion can be viewed live on Twitter or afterwards as a link within the Proceedings. The World Seabird Union hosted their first Twitter Conference in 2015, with 42 presenters. Our second, in 2016, had nearly doubled in size, with 72 presenters from 25 countries (AveryGomm et al, 2016). 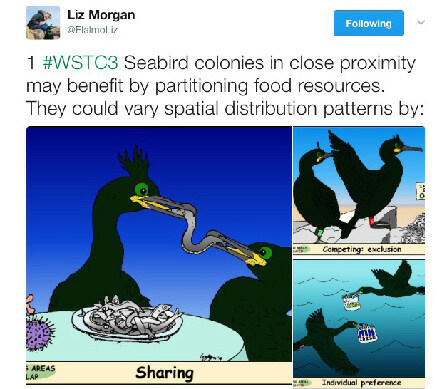 And we beat that again in this year’s event (#WSTC3). To our surprise, the ‘audience’ of our most recent Twitter Conference increased to around 3.9 million Twitter users (ie, the number of users who could have seen the conference hashtag). 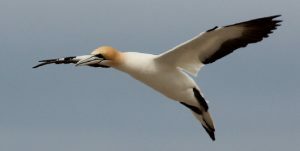 Obviously, not all of those reached were seabird scientists, thus demonstrating the immense value of these conferences for communicating science to a broader audience – something that nearly all academics agree is critically important.